Phylloxera is one of the most serious biosecurity risks for the Australian grape and wine community, with the potential to devastate vineyards and wreak economic devastation on rural communities. 02/02/2018 Who’s hitchhiking with you? Vinehealth Australia is today launching a new campaign ‘Who’s Hitchhiking With You?’ to educate tourists about their role in keeping South Australian vines healthy. The campaign is believed to be an Australian first. Vinehealth Australia will begin rolling out its Wine Tourism Biosecurity Program for South Australian cellar door, marketing and tourism staff in wine regions next week. A Vinehealth Australia pilot project, which saw virtual fences built around vineyards in the Barossa and McLaren Vale regions to track boundary crossings, has demonstrated the power of geofencing as a biosecurity tool. Australia’s number one unwanted plant pest – Xylella fastidiosa – will be the focus of international scrutiny in Australia this week. South Australian vineyard owners have been recognised on a national stage for their commitment to wine industry biosecurity. Vinehealth Australia is calling for grapegrowers to examine and improve their farm-gate hygiene practices in the lead up to vintage 2017. A cutting-edge vineyard cyber monitoring system, designed to keep South Australia’s $1.78 billion wine industry free of devastating pests and diseases such as phylloxera, is being launched today. A new board for Vinehealth Australia has been appointed following an independent selection process, with Roseanne Healy elected as chair..
Vinehealth Australia has appointed a new chief executive officer and elected a new presiding member.. The Board responsible for protecting South Australian vineyards from pests and diseases since 1899, today unveiled a new name and identity. The Phylloxera and Grape Industry Board of South Australia will now be known as Vinehealth Australia. The State Government has thrown its weight behind the Phylloxera and Grape Industry Board of SA’s five-year Strategic Plan which aims to expand its support for Australia’s $4.2 billion wine industry and to help secure SA’s phylloxera-free status. The exact boundaries of Australia’s Phylloxera infestation and risk zones are now as close as your computer or tablet. A web-based collection of interactive maps that shows the location of every grape variety in South Australia is being hailed as rare, if not unique in the world. Grapegrowers and vineyard owners will soon be able to comply with phylloxera and grape disease control obligations – and manage their own vineyard records – using a new web-based tool. The State Government is expanding the development of a world-leading soil DNA testing system to help keep the State’s grapevines free of phylloxera. The project will also investigate how to apply the system to other pests and diseases that impact on the State’s horticulture and cropping industries. The new Victorian PEZ was gazetted in July 2012. The area commenced surveillance in 2008 and was completed in March 2012. Initially the project was approved for commencement by the National Phylloxera Technical Reference Group, and The National Vine Health Steering Committee with regular reports made to these committees. When these committees were disbanded, the Victorian Viticulture Biosecurity Committee assumed oversight of the program. The program operated under the National Phylloxera Management Protocols, without any operational changes, and in the absence of any national committee to report to, the VVBC accepted responsibility to ensure governance of the program. Statement from Phylloxera and Grape Industry Board in regards to phylloxera quarantine standards. The CEO of the Phylloxera and Grape Industry Board of South Australia (PGIBSA) Mr Alan Nankivell announced today that the Board has been advised by Department of Primary Industries Victoria of a confirmed detection of phylloxera in a vineyard near Mansfield Victoria, in what was a PRZ region. 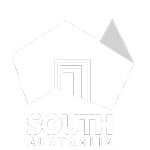 Recently inaccurate information has been circulated relating to the movement of green material into South Australia, the introduction of the new Plant Health Act (2009) and the role of the National Vine Health Steering Committee and its subcommittees. The Board provides the following information to set the record straight. With the commencement of the 2009 grape harvest in the South East, grapegrowers are being encouraged to ensure they have measures in place to prevent the spread of phylloxera. It is particularly recommended that harvesters be heat treated using the Board’s heat shed at Naracoorte when moving between regions. Alan Nankivell CEO of the Phylloxera Board announced today that there have been no further detections found since mid December 2008. He went on to say that DPI-Vic has announced the boundaries for the extended boundaries for the Maroondah PIZ. This map is similar to that circulated for discussion on 18 December 2008. It is DPI-Vic’s intention that the area will be declared for the coming vintage (2009), but the boundaries will be reviewed later in the year. The Phylloxera and Grape Industry Board of South Australia (PGIBSA) can confirm a further 3 detections of Phylloxera have occurred in the existing Yarra Valley PIZ (Phylloxera Infested Zone) since late October 2008.